As you may have already heard, Facebook has changed its algorithm yet again (Dec 2017) in a way that is going to impact your business. In fact, since January 2017, engagement on Facebook Pages have dropped 20% (AppSumo). What does the change in the Facebook algorithm mean for you and your business? Well, if you’re new to using Facebook to build your customer audience and drive traffic to your business, you have some challenges ahead of you – but it’s not insurmountable. If you’ve been using Facebook for your business and you’ve been paying attention, it’s likely that you’ve already seen the shift. Hopefully you didn’t panic, and that you’ve also diversified the way you market your business so that while you may have seen an impact, it’s not fatal. If panic HAS set in, take a deep breath – we will get through this together. If you’ve been reading my blog for a while, you know that I’ve been telling you the Facebook Free Ride has been over for some time. Getting seen on the Newsfeed of new customers and existing fans means you’re going to have to have an advertising budget. If you’re a really small business with one location, your budget doesn’t need to be huge – but you will need to pay. Take a look at your feed – see those “Sponsored” posts? Businesses paid to be there and you will need to as well. If you want some of the best advice on profitable Facebook ad campaigns, check out Jason Hornung. Let’s take a look at your own News Feed again and look for posts from businesses. Do you notice how some businesses are getting their posts in your News Feed without the “Sponsored” note in the top left? That’s because a fan is sharing their post. 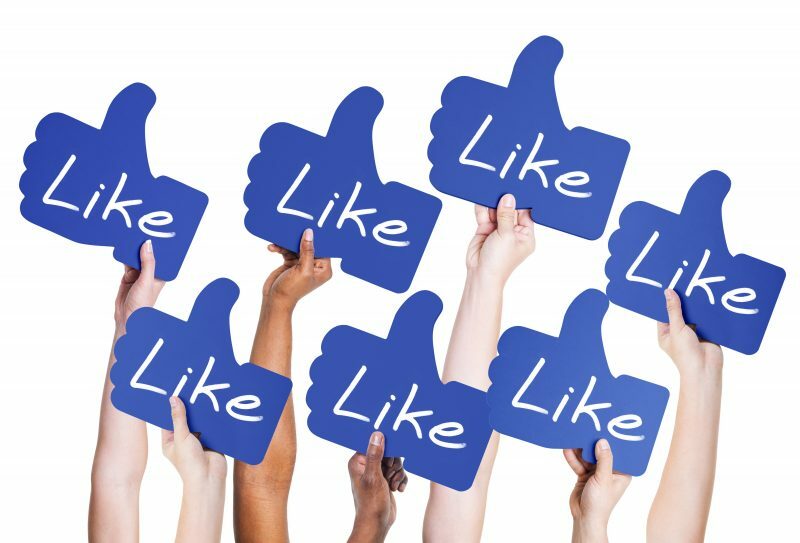 Facebook is focusing on posts shared by Friends and Family – so if you can develop some Advocates for your Facebook Page, you can increase the likelihood of your posts being seen. But the Advocates need to be authentic and passionate about your company. I’m not suggesting a “paid influencer” strategy. Then, ask them if you can contact them directly via Facebook Messenger – and then once that trust is there, ask them if you could give them some information to share (don’t do it without permission – that breaks your trust). But provide them with fun content that they want to share with their friends and family. If you’re a coffee shop, post funny caffeine-related videos and memes. If you’re a personal trainer, post funny videos about healthy eating, exercising, etc. Post the content that people want to share. Yes, I know you’re strapped for time, and social media is just one of the many things on your plate. But the good news is, if you focus on just a few, high-quality posts a week, you will still gain some traction. Also, be sure to post content that’s best for Facebook. Many of us use tools to automate posts for social media. But don’t let these tools take away your authenticity. If you’re posting to Facebook, Instagram and Twitter, make sure your posts are structured to match each platform. Don’t use hashtags on Facebook, have crisp visuals for Instagram and keep it short and sweet for Twitter. Take Facebook out of your automated tool and manually post for a while and watch your engagement. If it improves, try to continue to manually post. It’s better to post to get engagement – posting just to post is a waste of time and effort. If you’ve been avoiding video, it’s time to step out of the shadows. That doesn’t mean you have to get in front of a camera – but adding some movement to your feed will improve sharing and engagement. Yes, Facebook has stopped paying attention to videos from Business Pages (unless you pay to Boost it), but if you can catch the attention of your Fans and then they share on their feed, you extend your reach. If you do pay to Boost it, you will get higher engagements with video over a static post. If you’re a local business, start engaging with the Facebook Groups filled with people in your area. I’ve seen plenty of businesses post information about local events and shout-outs to other businesses. As part of a group, you can’t post AS your Business Page – but you can make sure your business is featured in your Facebook profile. If your business is mentioned in a “Recommendation Request”, make sure you comment back with a gracious thank you for the mention! As you participate more frequently, your personal page will become to represent your business as people start to connect you with your business. Here’s a quick recap on how to work with the latest changes in the Facebook algorithm. 5) Participate in Facebook Groups. Overall, if you’ve been in business for a while, you know that advertising opportunities (online and offline) are constantly changing. The key to success is to just know that everything is going to change – and focus on being authentic, trustworthy and delivering quality products and services.